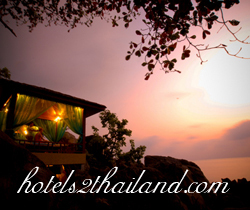 Silarom Spa is located at Baan Hin Sai Boutique Resort & Spa between Chaweng and Lamai beach 2 kilometers from both ways. This Spa complements the island's natural beauty with luxurious comfort amid the splendid natural surroundings. 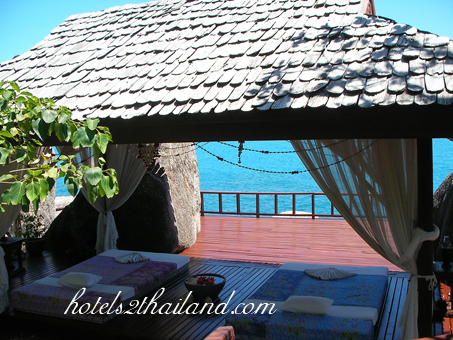 Guests receive their spa treatment in an open pavilion on top of a cliff with a full view of the ocean and blue sky. The sauna rooms also offer outstanding views of the cliff and sea. Remarks Check in : Please check in at the spa reception at least 15 minutes prior to you scheduled appointment. Late arrivals may result in reduced treatment time. Valuables :The management acceps no responsibility for loss of money or valuable of any kind brought into the spa premises. Special Consideration :Guests who have high blood pressure, heart conditions, allergies, are pregnant or have any other medical complications are advised to consult their doctors before signing up for any spa services. Please make your spa therapist aware of any medical conditions. Minimum required 2 person per booking.